The chains used for those industries, not only meet the strength and wear requirements, but years of refinements to the design, also address the unique requirements of a large ball mill circuit bucket elevator or high capacity steep pan conveyor. AUMUND chains consider a wear life based upon actual pin/bushing pressures and the material conveyed, not just the thickness of the wear treatment on a pin or bushing, and the strength rating also considers the fatigue requirements in specific and well experienced applications. These considerations have not only led to the best technology for the chain product line, as designed, but also to the in-depth knowledge required to make the best selection from such an extensive chain product line, which is equally important. 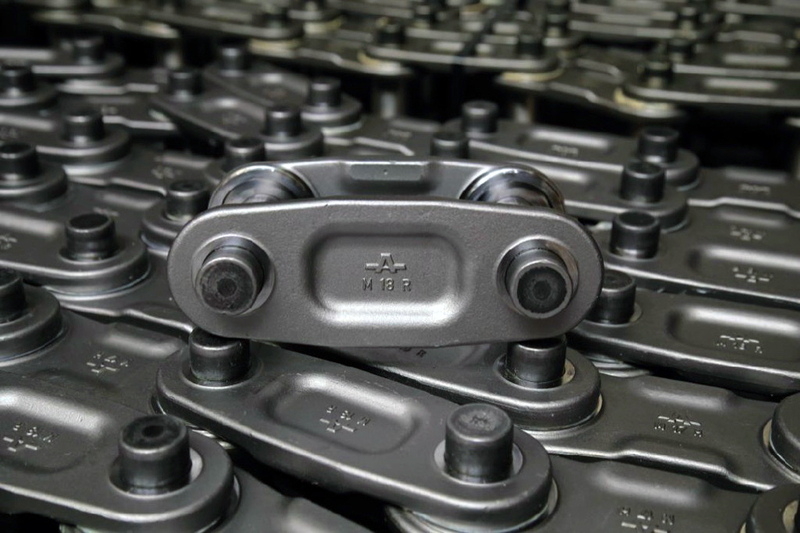 With over 18,000 machine references in more than 140 countries, AUMUND has extensive experience that goes beyond pure metallurgy and mechanics for chain design and application. Based on this experience, the company not only helps to buy a suitable chain, but also the best chain for the application.